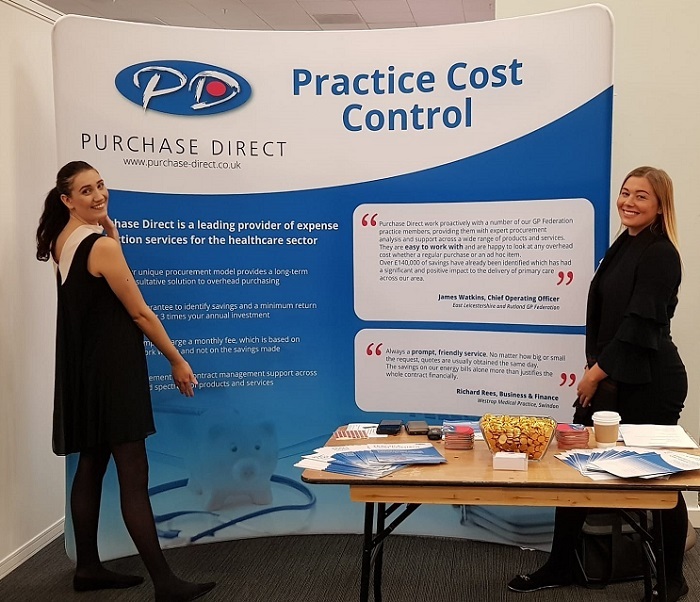 Purchase Direct recently attended 'Management in Practice', a series of events across four major cities for practice Managers, GPs and those involved in primary care business management. Each event was designed to provide knowledge and tools to transform GP practices, improve efficiency and reduce costs. Management in Practice Birmingham was held on 4th December at The National Conference Centre in Solihull. The event provided the opportunity to join expert speakers from across the industry, together with suppliers and peers for an informative day of networking and knowledge sharing. Practice Managers are facing both direct and indirect funding pressures, requiring them to review their overheads and do things differently to improve patient care and optimise cost effectiveness. Many accept that they could purchase their overheads better but do not have enough time or it is simply not a high enough priority. Purchase Direct staff were delighted to attend the event to explain the benefits of our expense reduction services. Purchase Direct represents many Federations and GP Surgeries across the country, providing procurement and contract management support across a broad spectrum of over 100 products and services. We support businesses with the reduction of overheads costs such as waste, medical consumables, utilities and telecommunications, to name just a few areas. Our fee is based on the work we do and not on the savings made, ensuring that the lion’s share of the savings goes to our customer. If you are interested in finding out how you could save on your surgery’s overhead costs, please contact us on 01707 299115 or email info@purchase-direct.co.uk.